Tim Conway is the President of Public Sector at NTT DATA, a global IT company. In his role, Conway serves the federal, state and local marketplaces. 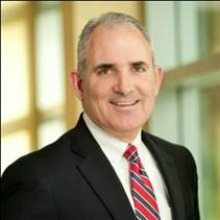 He has spent the last 23 years serving in the public sector and that includes his time at Keane where he worked as Executive Vice President for the firm’s Public Sector business. He joined NTT DATA after its acquisition of Keane in 2011. WashingtonExec recently spoke to Conway and revealed what his firm’s biggest challenge is, the effects of the sequestration on the federal marketplace, current trends in the industry, how to hire and retain top talent, and more. WashingtonExec: The Federal Marketplace is going through tough times as the budget continues to be uncertain. As President of Public Sector at NTT DATA, what kind of challenges has the sequestration brought to your job? Tim Conway: The greatest challenge for us as a business is the uncertainty on how agencies plan to achieve the cuts mandated by the Sequester. With the exception of the impending federal employee furloughs, agencies have been reluctant to share their plans to achieve the required cost reductions. I believe that there is an underlying belief, maybe a hope, that the budget cuts won’t become a reality, or that the agencies will be given more flexibility or latitude with how they administer the reductions. From my perspective, sequestration IS the new normal in our market! I believe that the competitive landscape will change dramatically over the next few years and those companies that can narrow their focus and continue to drive a clear and compelling strategy will be the market winners. Let’s face it, now more than ever, our clients have a clear and compelling reason to act – and as their industry partners it is our responsibility to help them take cost out of the enterprise. The market challenges are a great opportunity for companies like NTT DATA that can help agencies define the outcomes to achieving mission success; prioritize the critical needs of the organization; deliver flexible secure solutions through modernization, service consolidation, smarter applications and change management – and deliver true savings through cost elimination, lower complexity and better decisions. The days of the mega IT projects with business cases built on hope are gone and the future is filled with smaller projects that are delivered in 12 months or less with a near real time return on investment. WashingtonExec: What are some new trends in the Federal Marketplace? Tim Conway: Lately, I’ve been hearing around the beltway that flat is the new growth. I don’t buy into that principle. The Federal market remains the largest market in the world – and sequestration is a mandate to eliminate cost – not to lower the services experience that the US government provides to its citizens. You can’t get there through tightening the belt (e.g. furloughs and low price technically acceptable (LPTA) procurements). Realistically, we have to fundamentally change the way our Government delivers the services they provide to our citizens. It’s time to innovate. The future is also mobile and connected. Our government and the citizens of our country require the ability to function everywhere through mobile devices that utilize applications designed for the unique needs of the government; but built through agile “app” development – in much the same manner that we have seen social media evolve. Speed to market will become increasingly more critical. Finally, in the future infrastructure will increasingly become a utility instead of a primary focus. The Government is really just beginning to embrace cloud computing. Eventually, most if not all of the Government applications will be running in some type of cloud environment whether public, private or hybrid. The shift to cloud will be driven by the need to reduce costs and increase efficiency but it will also spur a sea change in the way software is maintained. As the software capability is decoupled from the underlying hardware through Software-as-a-Service, Platform-as-a-Service or Infrastructure-as-a-Service, the shift on how to maintain that software will also change and those companies that understand agile and know how to bring efficient processes will prosper. In response to these trends and to help our clients realize the benefits of rapid application development, NTT DATA has created RAXsm, which is a hybrid software development methodology based on the Rational Unified Process (RUP), Agile and eXtreme. RUP is IBM’s Rational Unified Process where the Inception, Elaboration, Construction and Transition phases align well with most government Software Development Life Cycle (SDLC) definitions. The Agile development process provides an iterative, user-focused, short cycle, collaborative, fast-paced software development approach. And eXtreme programming that leverages small empowered teams tasked with delivering specific components with fast development turn around and obsessive testing. All of this enables our government clients to accommodate their SDLC requirements and at the same time gain the speed, cost, reliability and user satisfaction benefits of high efficiency processes. WashingtonExec: How does your company recruit and retain top talent? Tim Conway: First and foremost – the best way to recruit and retain top talent is to be a healthy growing business where organic growth creates opportunities for our employees to grow in their careers. I am proud to say that NTT DATA and our Public Sector business meet these criteria. As a result, we recruit by offering dynamic career opportunities for employees to grow, evolve, and expand their skills and experience with ever more challenging roles in our company. Once onboard, we provide a broad range of professional development, certification and leadership programs that are designed with our employees in mind – providing them the opportunity to expand their skills and capabilities while they gain valuable experience on the job. This investment into employee development differentiates us in the market, expands the depth and breadth of our capabilities and strengthens our relationships with our customers. We recognize that retention is about helping our employees achieve their career goals. WashingtonExec: What specifically are you looking for in terms of skills and characteristics in a potential employee? Tim Conway: We are seeking ambitious people with an innovative spirit, quest for learning and ingenuity that they bring to their job every day. NTT DATA has opportunities for a wide range of candidates – from those just starting their careers to seasoned professionals across a wide range of technology and service solutions. Our Public Sector currently has several hundred openings and our hottest needs are for Project Managers, Business Analysts, IT Programmers (.Net to Oracle to Java to SharePoint), Network Administrators (Linux and Unix), Testers, Quality Assurance Analysts, PeopleSoft Developers and Helpdesk/Desktop Support. WashingtonExec: What do you like to do when you have time off? Tim Conway: When I am not sitting on the sidelines of one of my kids sporting events, I enjoy golf and skiing. WashingtonExec: What is your favorite mobile app? Tim Conway: My favorite app is find my iPhone – not only because it provides the security of finding your phone, but it is a great way for my wife and me to keep an electronic eye on our three kids. With 2 teenagers and one soon to be, it is often like herding cats. This app gives me piece of mind with the ability to monitor their location electronically. WashingtonExec: What was the last good book you’ve read? Tim Conway: Killing Kennedy by Bill O’Reilly and Martin Dugard. Could you imagine if JFK was President in the age of social media? WashingtonExec: What is your favorite spot in Virginia, DC or Maryland? Tim Conway: Anywhere with my wife and kids (Matthew 15, Courtney 13 and Katie 10).